Chelsea are interested in signing Bournemouth's Callum Wilson, assistant manager Gianfranco Zola has admitted. Maurizio Sarri's appears on the hunt for a new striker, having been forced into playing Eden Hazard as a false nine in recent games due to an injury to Alvaro Morata. And England striker Wilson has been superb so far for Bournemouth this season, scoring nine goals in all competitions. Zola, taking the Chelsea press conference ahead of their Carabao Cup quarter-final against Bournemouth on Wednesday, said: "I'm sure that there are a lot of players that are linked with us. 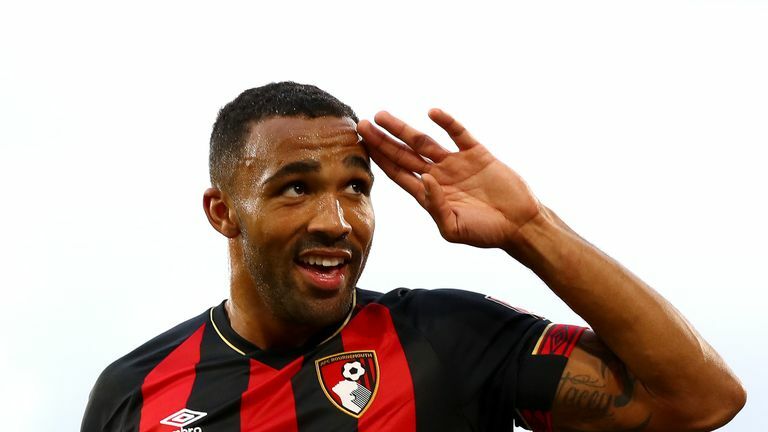 "Certainly Callum Wilson is doing very well for his club and he is of interest, not just for us, but for many. "He's strong, fast, and he sees the goal. I like him because he's quick, but also strong in the air, which is a very important quality. "But I don't want to go too much into it. He's doing very well. I'm pleased for him. He has a lot of qualities that can take him a long way." Wilson, who was part of the Cherries' promotion-winning side, signed a new four-year contract with Bournemouth in July.